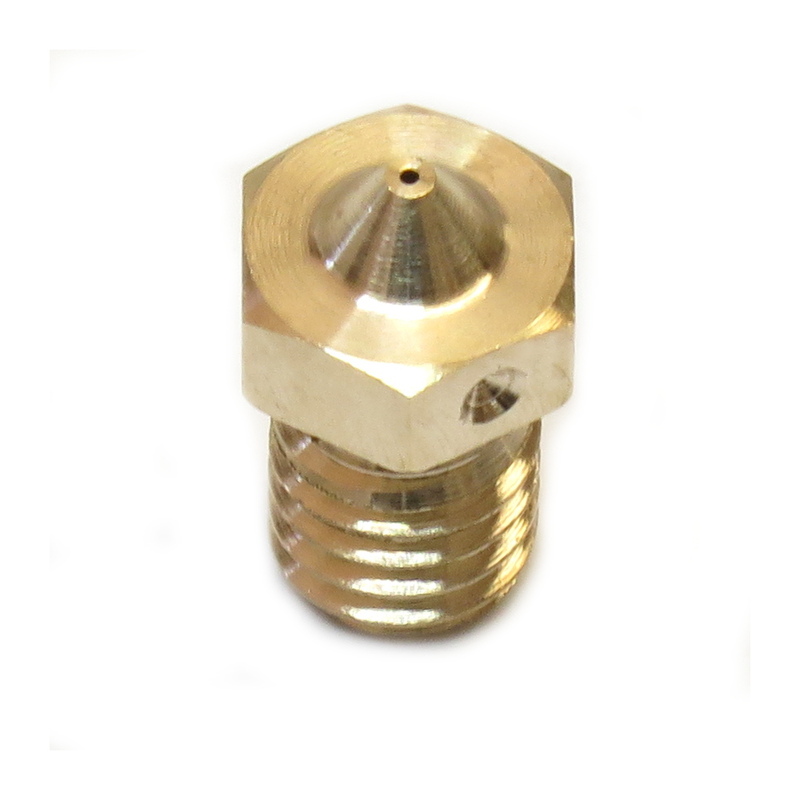 Original E3D pack of brass nozzles for the HotEnd E3D v6. The original E3D Fun Pack nozzle contains 6 brass nozzles of different output diameters for the version of HotEnd v6, compatible with v5. This variety of diameters offers the possibility of printing all kinds of models, from small prototypes that need a great quality, to others that press the speed to have smaller times of impression 3D. The 0.4mm nozzle offers good stability between speed and quality, but there are cases where you are looking for something specific. For example, when printing small gears or small parts with thin or pointed parts, a nozzle of smaller diameter than usual (0.4mm) is required to perfectly fill all the layers and there are no holes due to not being able to make a impression so fine. Conversely, when you want to make large pieces, where print times are long, a nozzle of 0.6mm or 0.8mm cuts that length and with a good enough finish. Apart from the versatility of this pack, the E3D v6, which provides high printing temperatures (300°C) with high quality and pressure and a wide range of filaments, is well-known. 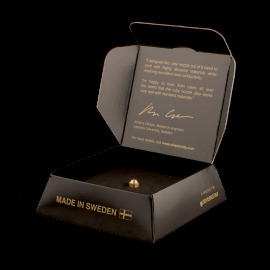 We recall that brass nozzles are for use with conventional filaments such as PLA or ABS, but not for filaments containing fibers, as these produce a great wear on these nozzles. For fiber-containing filaments it is recommended to use hardened steel nozzles that can withstand many hours of wear-free printing or stainless steel nozzles when working with approved food contact filaments (FDA). The v6 nozzles are compatible with HotEnd v5. It´s still recommended to use nozzle v6 for the HeatBreak v6. 6 brass nozzles(0.25mm, 0.3mm, 0.35mm, 0.5mm, 0.6mm, 0.8mm).